Farm News: Yippee for the rainfall, early Friday morning!!! The fields look great – thanks to Lupita’s father (Evaristo) who has volunteered to be our weed removal specialist for the season. He works longs hours very frequently! This allows Adam to do more farm projects, cover crop, etc. and Lupita to spend more time with our son Adán and cooking with our produce! Produce update: the tomatoes in the high tunnel are ripening, we finally have eggplants starting to grow, and the green beans are producing like crazy! 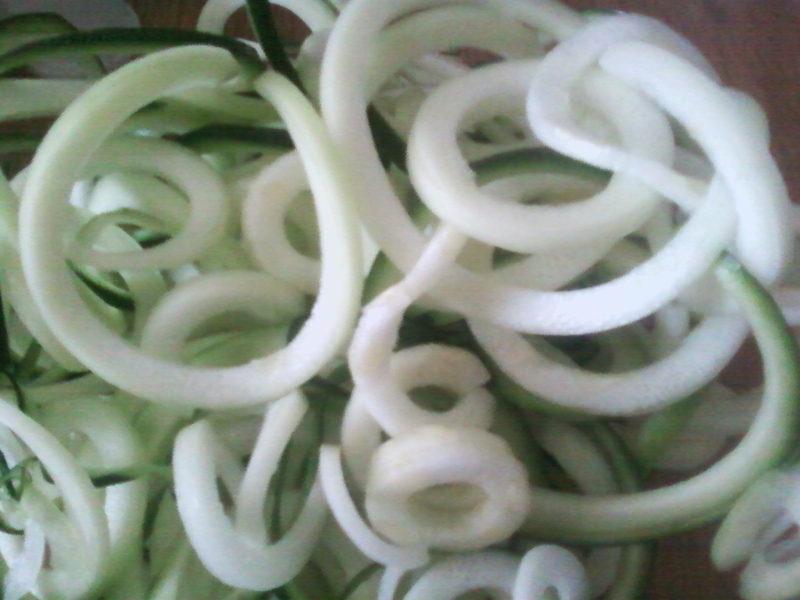 The photo posted above is zucchini that has been prepped with a spiral vegetable slicer. It is an awesome way to get kids involved in food prep. We ate the zucchini raw the first few times and then sautéed slightly with butter, both ways delicious! Anticipated Harvest: Green beans, potatoes, fresh eating onions, basil, lettuce, broccoli, carrots, zucchini, cucumbers, and maybe cabbage. The following recipe is one I (Lupita) created based on what we had available. Since there was no recipe to follow I suggest you add the lemon/mustard sauce gradually and salt/garlic to taste. After washing all produce, cut potatoes in half or fourths (leave skins on). In a large pot add water and potatoes and cook until slightly tender. Prior to adding cut up green beans (in half or thirds) drain some of the excess water but leave enough to cook/steam veggies for 5-7 minutes. Add butter, salt and garlic to taste. In a separate bowl mix about 2 tablespoons lemon juice and maybe 2 tablespoons Dijon mustard, more or less depending on your taste buds. Add sauce to potatoes and green beans. Optional: Add 1 -2 cans of tuna (water drained) or a small grilled tuna steak. Basil Syrup recipe will be added to the website later this week! 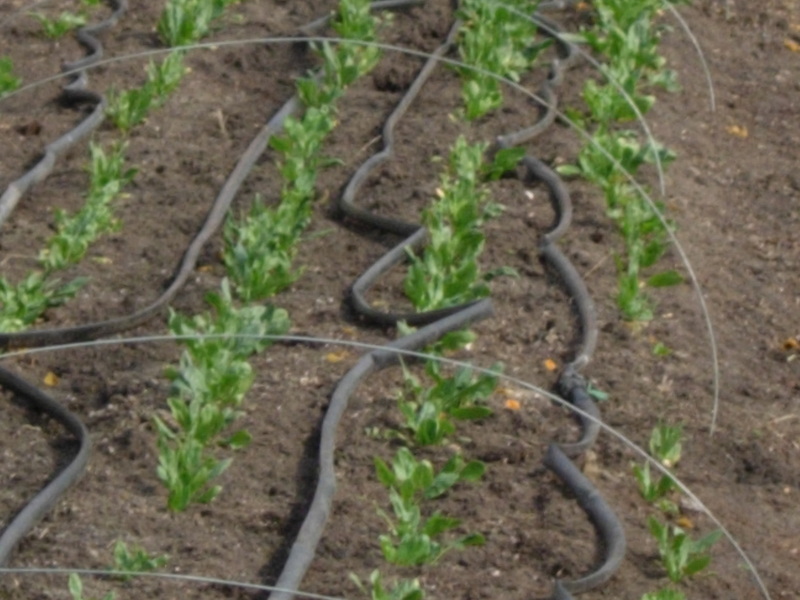 Farm News: The latest project at the farm is setting up irrigation throughout the fields. It will actually feel like summer this week and the heat loving plants will also need water to grow. In previous years by now the watermelons are about the size of a basketball, some bigger however most are about the size of a baseball or smaller! The pepper plants are also starting to put on lots of fruit and hopefully the warmer night temps will allow the fruit to grow more too. Anticipated Harvest: Potatoes, kale, fresh eating onions, kohlrabi, basil, fennel, lettuce, broccoli, carrots, zucchini, cucumbers, and maybe cabbage. Place olive oil in a medium pot over medium-high heat. Add onion and cook, stirring often, until it begins to soften. Add zucchini and garlic, continue stirring until vegetables soften. Add water and bouillon cubes; stir well. When mixture comes to a boil, reduce heat to maintain a steady simmer and continue cooking about 10 minutes, or until veggies are tender. Transfer to a blender and gradually add ¼ cup fresh basil (leaves only). Process until smooth. Return to pot, and pepper, and reheat. Taste and adjust seasoning. Serve immediately. Fennel: Use the feathery leaves as a fresh herb for seasoning. Try using it in place of dill. 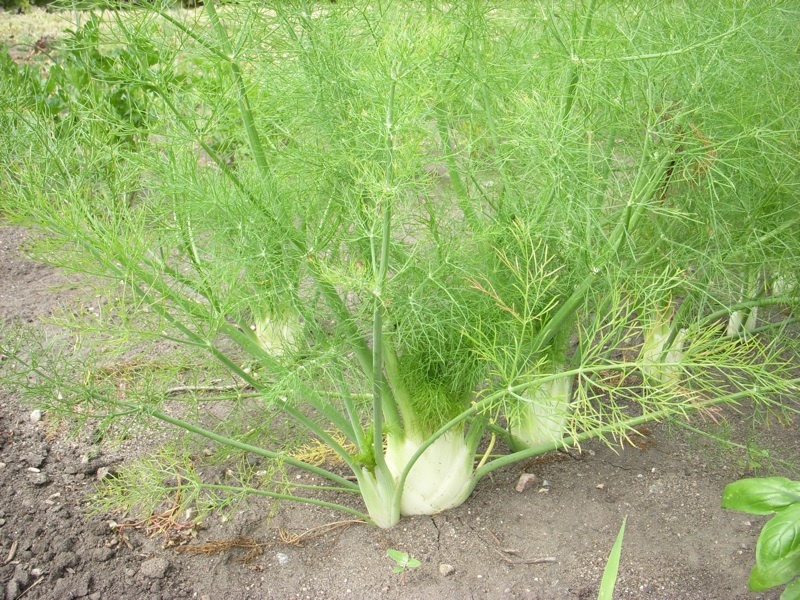 Fennel can be baked, steamed, or sautéed. Try substituting the white bulb for recipes that call for celery. Wash the fennel bulb, trimming off any damaged areas or woody parts of the stalk. Farm News: This weekly post was written July 6th and is very brief since Lupita, is traveling until July 15th. So the harvest list may not be very accurate, but will be updated July 16th! The website and Facebook will be updated as soon as possible the 16th. Farm News: Almost all 800 pepper plants are trellised with cages, and field tomatoes are trellised with twine. The summer transplants (tomatoes, peppers, eggplant, zukes, melons, etc.) are ready for heat to continue to grow and produce fruit. We could use a break from the nasty gnats and mosquitos but with all the standing water in the area they will only continue to multiply. 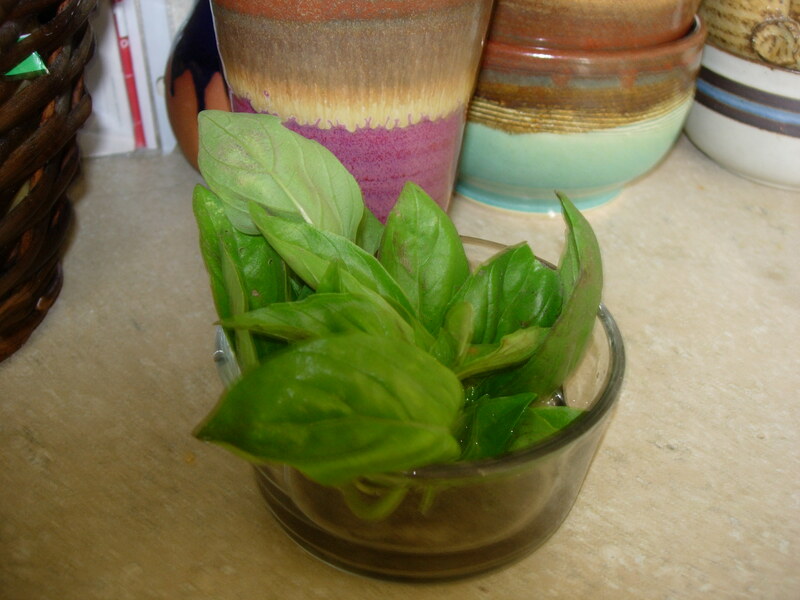 Basil – great in pasta, as a pesto, or make a basil syrup and add to lemonade. We have found that basil keeps fresh for about a week (or longer) when the stems are placed in about 2 inches of water in a glass jar. The basil bouquet is kept at room temperature, and also is quite aromatic.